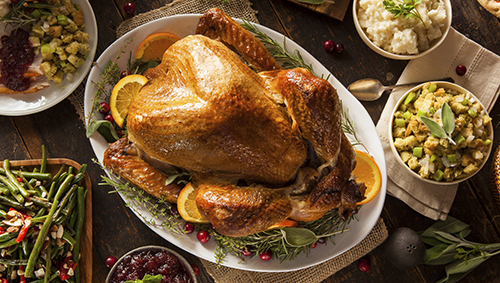 Suppose you could only add 6 ingredients to your must-buy list. As a runner, which foods should you choose? A runner’s diet is important not for only maintaining good health, but also to boost energy, aid the recovery and shed some extra pounds. So, before your next trip to the grocery store, make sure you add these 6 essential foods to your list. Salmon should be included in every diet. This fish is an excellent source of protein and omega-3 fats, which improve nervous system functioning and boost heart health by creating more elastic blood vessels. 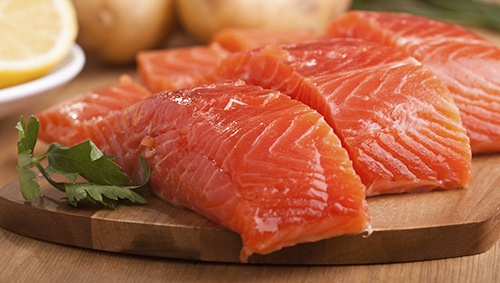 Salmon also has protein, vitamins A, B and D and several minerals that are vital to a balanced and healthy diet. In addition, salmon is a very versatile fish. Just add some fresh herbs and bake, grill, or poach it to put a healthy and delicious meal on the table. Bananas are among the best pre-workout foods for runners. They are an excellent source of carbs, with 0% fat, and are extremely high in potassium, which runners lose in sweat during exercise. Bananas also help regulate muscle contraction, prevent cramping and are a “safe” pre-race food because they’re unlikely to cause gastrointestinal issues. Pasta and breads are a runner’s best friends, before and after big workouts. They contain easily digestible carbs that help you fuel your runs and are ideal to restock spent glycogen stores. But not all pasta and breads are created equal. 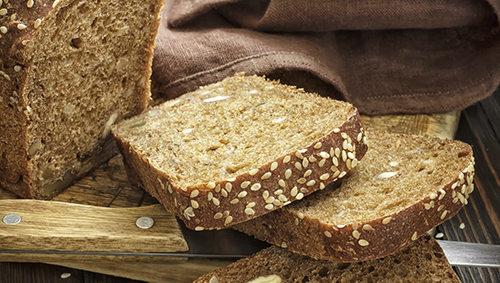 Whole-grain versions contain more fiber, which promotes satiety and digestive health, additional B vitamins that are crucial to energy metabolism, and disease-fighting compounds such as lignans. Instead of white bread or any baked products made with white flour, opt for whole-grain breads, pasta, rolls, crackers, and cereal. If you want to add some green to your plate, kale might be one of the most nutritious options. Kale is a great source of vitamins A, B6, C and K, as well as iron and calcium. Kale is also known by its strong anti-inflammatory properties, which can help runners to recover from low-grade inflammation resulting from exercise-induced muscle damage. 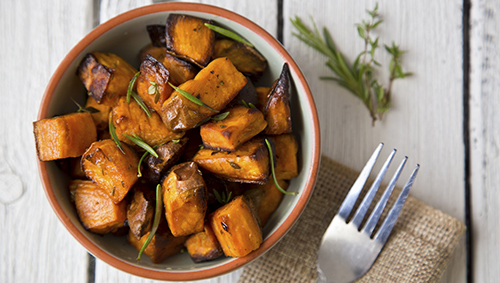 A single sweet potato contains the always-important carbs and supplies more than 250 percent of the Daily Value for vitamin A, a powerful antioxidant. They’re also a good source of vitamin C, potassium, iron, manganese and copper. And you don’t need to do much to make them taste good. Cooked in the oven or even in the microwave, they always make a great side for dinner. Eggs are nutritional powerhouses! With just one egg you’ll be able to satisfy about 10 percent of your daily protein needs and ingest all the crucial amino acids your muscles need to recover from intense workouts. You’ll also get about 30 percent of the daily value for vitamin K, which is crucial for bone health. Eggs can be eaten at any time of the day. Put your creativity to the test and try some healthy omelets and frittata recipes.